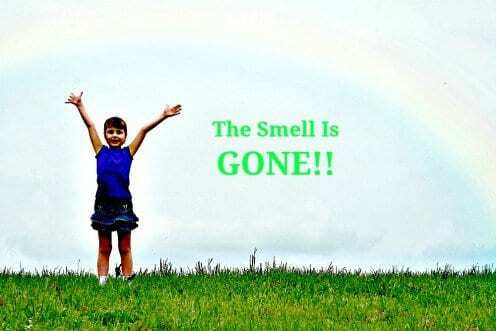 Master Odor Removal - "The Stink Highway"
This revolution began in 1990, when George Preti, a scientist at the Monell Chemical Senses Center, in Philadelphia, isolated the specific molecule (3-methyl-2-hexenoic acid) that produces the distinct odor of underarm sweat. Before Preti’s discovery, you had to, in his words, “carpet bomb” smells by applying a perfume strong enough to overwhelm and erase all odors. Once Preti cracked the code, scientists could create scents that adhere only to the nasal sensors that are most sensitive to 3-methyl-2-hexenoic acid. Deodorant designers are now able to create precisely the scent they want, which could be no discernible scent at all. You’ve heard about white color and white noise, but know there’s a new neutral signal that balances the senses, the sens of smell to be more exact – white smell! Scientists at the Weizmann Institute have shown that white odor indeed exists, although it can’t be found in nature, after they created a mixture of various pure scents to convey the perception of olfactory neutrality.Real estate professionals have long paid attention to the smell of a home, making sure the scent is pleasing to buyers to hopefully bring about a quicker sale. But new research suggests that some of the common scents real estate professionals may reach for in prepping a home for sale can actually turn off home buyers. Researcher Eric Spangenberg, dean of the college of business at Washington State University, says that complex scents, like baked goods, can be a distraction to potential home buyers because they’ll subconsciously dedicate time to try to figure out what the scent is. But at a real estate open house, you want a potential buyer not to be distracted by processing a smell. Neutral is the New Scent Standard! For businesses and private parties, Master Odor Removal – Salt Lake City, Master Odor Removal – Las Vegas will prove to you that “neutral is the best way to help move your autos, homes, apartment listings, and keep your hotel rooms turning.